The guide includes a walk around the walls, a visit to Chester’s riverside groves, a tour of the cathedral, and a 17 page history of Chester alongside a guide showing where the historic sites can be found in the city. 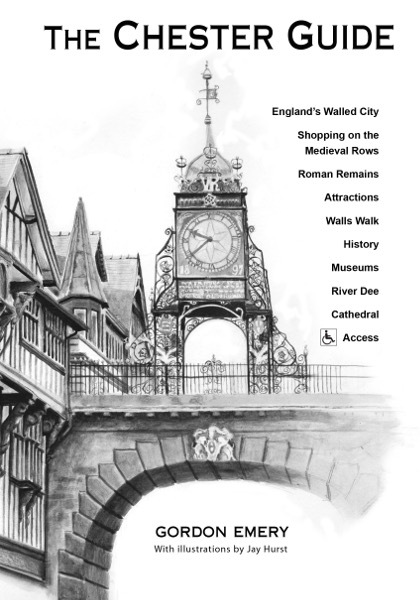 The guide includes a walk around the walls, a visit to Chesters riverside groves, a tour of the cathedral, and a 17 page history of Chester alongside a guide showing where the historic sites can be found in the city. Ideal for the first time visitor to Chester this guide lists the usual museums but also includes a walk around Chester’s unique wall, a history of the city, and a guide to it's historic sites. For longer walks, try Chester Inside Out and for a detailed history see Curious Chester.